You Wanna Make $530 the Hard Way? 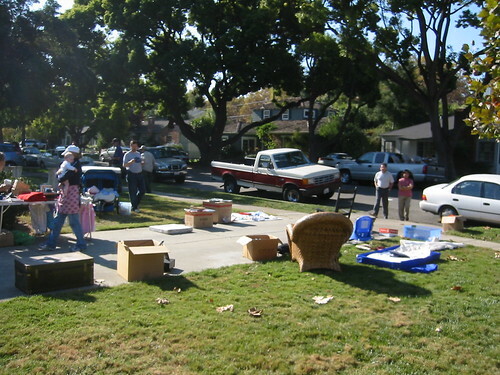 Well, we had the infamous yard sale this weekend. We had a great showing based on the Craigs List post and I think that between all of our friends, the property made about $2,000. 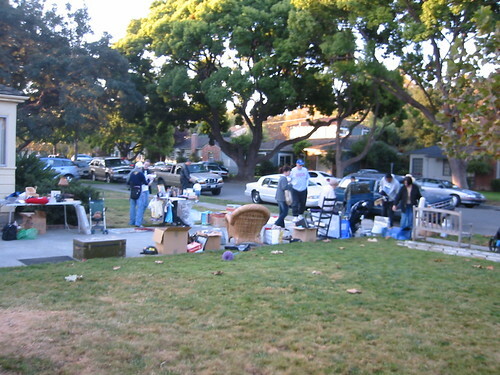 Fortunately, our neighbor had a big estate sale on the same day which drove a lot of traffic. 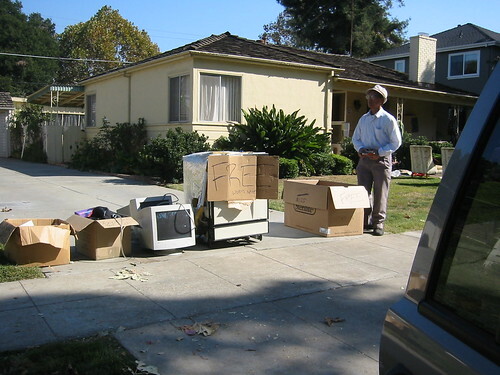 By 12:30, we were sick of negotating with yard sale people and simply wanted to get stuff out of our house. We were in the car, fish tacos and chivalas were calling us, so everything left was free. The old Chinese man in the picture above took an entire box of punk rock CD’s and cassettes. It was great. We felt that the day was successful though, we netted about $500. Not bad for 5 hours of work, but it could have been a lot more had we CL’ed the whole thing. The nice part was that everything was gone in a matter of 5 hours. No dealing with strangers showing up at your house late and all the headaches associated with selling something in CL.